Welcome to the Roane County High School Library! Library hours: 8:00 a.m. - 4:00 p.m. Check out our new eBooks and audiobooks in the catalog or by signing into the Sora App using your school login. See Ms. Parrish for help! If accessing any of the above TEL databases from home, you'll need the password. See Ms. Parrish in the library or send her an e-mail to gain access. You can also see a complete list of TEL databases under the "Links" section at the top left. 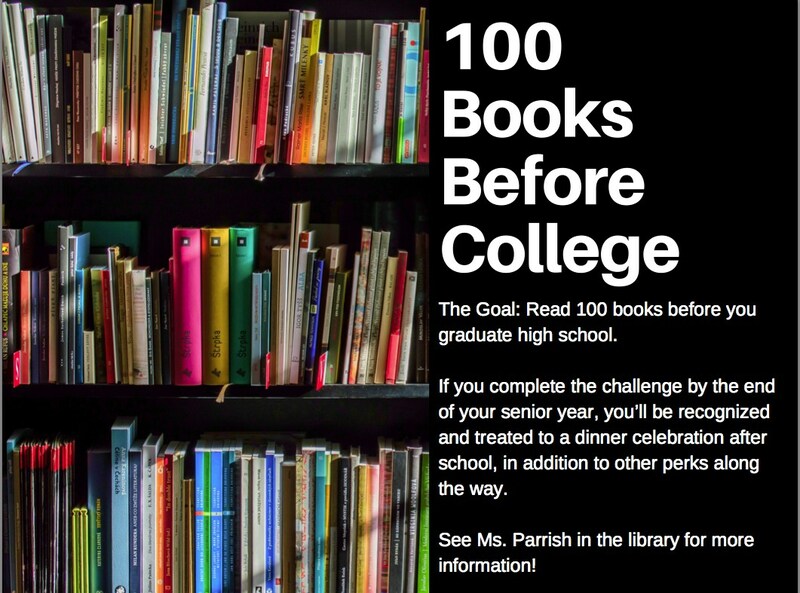 See group titled "RCHS 100 Books Before College Challenge" at bottom of page.